We learned a lot about the Wii U at E3 this year, but we didn't learn what is likely to be the defining factor in its success or failure: the price. Recent rumors from reliable sources price it in the $400 range, which could be disastrous for the system's launch. For the purposes of this article, we are going to imagine that Nintendo will be releasing the system for $250, the same price that both the Wii and 3DS launched at. Whether it's reasonable to assume Nintendo would do that or not is up in the air, but I think most people would agree that the price would be more than fair, especially with a pack-in. But even at $250, the Wii U has some major hurdles. In fact, most of these issues would be just as legitimate if that year-old $200 rumor came true. I want the Wii U to take the gaming world by storm. I really, really do. But with each passing day, I become less and less convinced that Nintendo can make lightning strike twice. 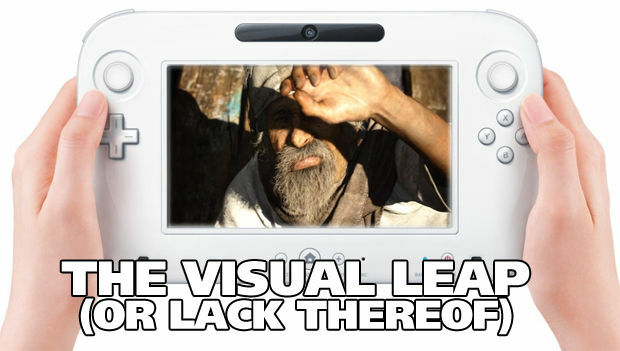 If you are reading this, there is a good chance that you understand the Wii U. 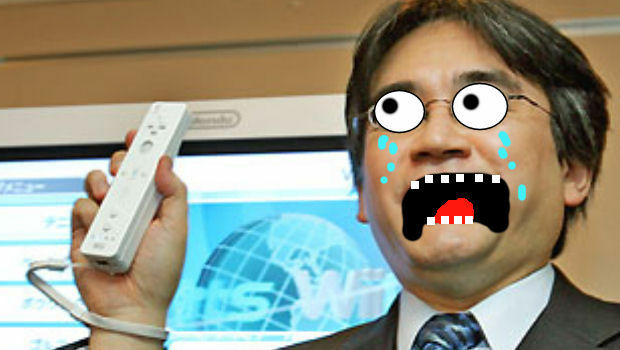 You know that it is the next console from Nintendo, a full-fledged follow-up to the Wii. But there are a lot of people who do not know, and this is mostly Nintendo's fault. With the Wii Balance board and WiiMotion+, Nintendo set a precedent that may very well come back to bite them. But it's not just Nintendo this time. The entire industry has moved towards a potentially confusing sense of iteration. Both Sony and Microsoft have put out new peripherals which completely change the way players interact with them and are continuing to do so (which I will delve into more in a bit). Then there is the name. Logically, "Wii U" should denote something entirely different, but that is no longer the way the market works. Peripherals like Kinect and PlayStation Move have pushed basic naming conventions out of the way, replacing them with vague names that are related to but not indicative of any specific console. It's not "PlayStation 3 Move," for example, even though it's only compatible with the PS3. Microsoft did the same thing -- there's no such thing as an "Xbox 360 Kinect." A couple of months ago, I got together with a friend I hadn't seen in a while, and of course we talked about videogames. I told him that I was excited for the Wii U, and he said he was too, though he wondered when Nintendo was going to announce another console. I had essentially the same conversation with another person not too long after. And these are people who play videogames. They aren't parents who are just trying to make their children happy. 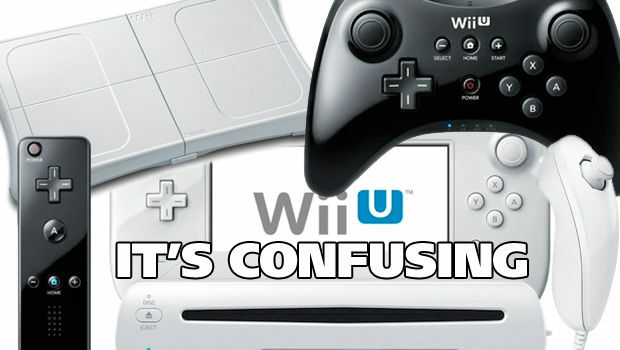 They actively want a Wii U, but they have a fundamental misunderstanding of what it is. I expect that when shoppers see Wii U GamePads in Target and Walmart this Christmas season, they will wonder why it doesn't work with the Wii that they already have. The most compelling PS Vita commercial I have ever seen is the one in which some guy is playing MLB 2K12 on his PS3 when he realizes he has to leave for work. So what does he do? He grabs his Vita and picks up right where he left off. It's a cool ad (even though the narrator is obnoxious), and it highlights a pretty awesome feature. The Wii U has something similar but not quite as good. No one actually knows how far away a GamePad can be from the Wii U base, because no one has played with a wireless GamePad. Nintendo usually does a pretty good job with its range of wireless functionality, so there's a good chance you'll get to the bathroom, but it's not likely you'll make it to your car. Then there's the multi-touch issue. Although Nintendo hasn't come out and said it, it's likely that the GamePad uses a resistive touchscreen versus a capacitive one, and that is a bold move in this day and age. Although resistive touchscreens are inferior (and have been largely removed from the market thanks to smartphones and tablets using capacitive technology), Nintendo has been using the technology for years now (both the DS and 3DS have them), but this is different. People already complain about the forced use of a stylus on a DS or 3DS, but the touch screens are so small that finger use verges on impractical. That is not the case here. The GamePad has a 6.2" screen, which is, in a word, huge. The PS Vita screen is more than a diagonal inch smaller than the GamePad screen, but it is far more functional. There's also SmartGlass, which can be potentially utilized by the majority of smartphones and tablets available on the market today. For example, I have a Droid Razr MAXX. It has a 4.3" screen. It's significantly smaller than the screen on the GamePad, but it still has multi-touch. What of the larger scale? I don't currently have a tablet, but that's mostly because I'm waiting for Google to announce the sub-$200 Nexus tablet at Google I/O later this month. When that happens, I am likely to pick one of those up, and then I will also have a 7" screen which is far more capable than the GamePad's. 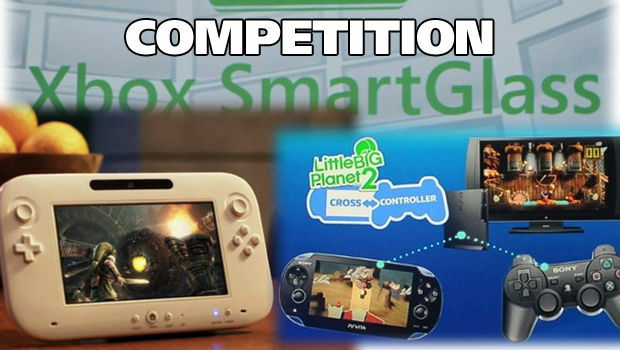 When compared to the Vita or to smartphones, the GamePad only has the size of its screen to keep it worthwhile. Compared to a tablet, it loses on all counts. Where SmartGlass also wins is with battery life. Nintendo has rated the GamePad's playtime at somewhere between three and five hours of battery life per charge, which is in line with the Vita's, but it pales in comparison to many phones or tablets. SmartGlass is very different from the GamePad because it is purely accessory. It can't be used to control games in the same way that the GamePad can, but it turns out that the GamePad isn't always necessary either. In Chad's preview of Pikmin 3, he used the GamePad solely as a map, controlling the game with a Wiimote/Nunchuck combo. In that scenario, a tablet or smartphone would have been just as effective at conveying the information. Perhaps even more so, because it would have had better touchscreen functionality and would have been purely screen, foregoing the in-this-case-unnecessary buttons and sticks. I want to point out those last two sentences. Not because they're brilliantly written or anything, but because they highlight how the Wii U could easily benefit from multi-touch, despite what Reggie says. In a world where there is a single Wii U controller, I understand and could probably accept arguments in favor of single-touch systems. With your hands on all of the buttons all the time, multi-touch functionality on the the screen in the center isn't quite as necessary. I would still argue that it would be beneficial, but I wouldn't fight so hard. It will be years before we know how capable the Wii U truly is. As of right now, we can assume that it is at least on par with the current generation of consoles, maybe a little worse in some areas and a little better in others. But let's say it is absolutely more powerful than either the Xbox 360 or PS3 (and by the end of its cycle, I have no doubt that it will put visual powerhouses like Uncharted 3 to shame). Whatever it is, it may or may not run the Unreal Engine 4, and although some form of Square Enix's Luminous Studio engine will run on the system, it probably won't be the one that showcased that incredible tech demo. What's more important, though, is that neither of those things, whether the system can take advantage of them or not, will be available at launch. This holiday season will be incredibly important for the Wii U. It is likely to be Nintendo's one shot at being the only "next-gen" console in town. It needs to wow people, and it probably won't. Some of the demos showed off at this year's E3 on high-end PCs were really mind-blowing stuff, and most of that is stuff that the Wii U will never be able to reach. It's possible (though unlikely) that not even the Xbox 720 or the Orbis (or whatever they are called) will reach quite that level of fidelity, given the costs that likely went into building those machines. But the Wii U definitely won't. Even if the Wii U versions of Arkham Asylum, Darksiders II, Assassin's Creed III, etc. look better, it won't be by leaps and bounds. Seeing the games side by side on the demo kiosks in GameStop won't convince anybody who already has an Xbox 360 or PS3 that they need to buy another console, and when the time comes that the difference would be truly noticeable, the Wii U will be up against much more powerful competition. When the Wii came out, $250 was an amazingly low price. 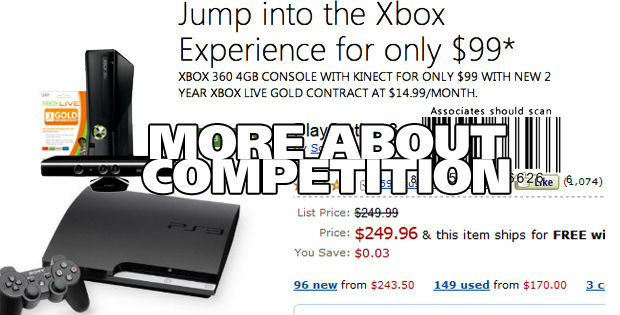 The PS3 had come out only two days earlier at twice that or more, and the Xbox 360 was still selling for $400. Visually, it didn't quite compare, but it offered something different and cheap. The Xbox was already dead at the time, and the PlayStation 2, although very cheap, had left the limelight. But Sony and Microsoft are sticking to their guns right now. Microsoft announced SmartGlass and Sony announced that book thing it will have forgotten about by Tokyo Game Show. The companies are going to continue to push their consoles for at least another year, and Nintendo will have to fight against that. When the Xbox 360 released, it ushered in the HD era. Its cost was justified by its promise of visuals beyond anything console gamers had ever dreamed. Nintendo will not have that advantage. Depending on how intensely marketed SmartGlass and the PS3/Vita crossplay are, consumers won't see Nintendo's built-in advantage either. So it comes down to price. And again, the assumption is the Wii U is out at $250! All of that new technology for a low, low price. It sounds perfect, but it doesn't have the momentum, thanks to Microsoft. The $99 Xbox is not a good deal, but it looks like it is. Thanks to cell phone plans, consumers are used to paying more in the long run for something deeply discounted on the front end. They see a $99 Xbox 360 with Kinect and they don't necessarily realize that they will need a larger hard drive or that they could get Xbox Live for much cheaper if they do a little digging. All they see is a $99 Xbox 360. It will be interesting to see if the cellphone-esque payment method works out for Microsoft and whether or not we could be seeing the same thing with its follow-up console. But what's important is that next to $99, everything looks expensive. Even $250. I don't go to brick-and-mortar game stores very often. I buy most of my console games from Amazon because it's cheaper and I'm lazy. But the other day, I went into one and saw something amazing: a used copy of Crackdown was $2.99. Seriously. Three dollars. For an absolutely awesome experience. Dead Rising and Devil May Cry 4 are now $5. Splinter Cell: Conviction, Battlefield: Bad Company 2, Halo 3, and Halo 3: ODST are $10 each. All of those games? $53. Cheaper than the price of basically any new Xbox 360/PS3 game, and likely cheaper than Wii U games, which will probably hit the $60 mark. Even if they stay at $50, though, cut out Devil May Cry 4 and you still get six great games for $48. Yeah, they're old. All of them have sequels out or on the way, but so what? When you get into the $20 category, your options expand dramatically. The same is true for the PS3. People looking to buy a console this holiday season will see a wall of $50-$60 games, and right next to it will be a wall of games as low as $3. There is a grey area, however, thanks to the Wii U's backwards compatibility. Nintendo has the best track record for backwards compatibility of any company out there, and it seems to be continuing the trend. Although the Wii U won't play GameCube games, it will have complete compatibility with all Wii games. That is a really cool feature, but it's not a system-selling feature. A Wii can be had for $150 nowadays, and that's with a game packed in. Plopping down the extra $100 to take advantage of cheap legacy games makes no sense, especially since the Wii U will not upscale Wii games. But even that has some caveats, because Nintendo games practically never drop in price. There is the Nintendo Selects series, which has some amazing games, but then there's New Super Mario Bros. Wii. I bought that game back in November of 2009, but it's still $40 on Amazon and $50 new at GameStop, so that grey area I was talking about becomes a little bit darker. The Wii had some excellent third-party games which can be purchased very cheaply, but they tend not to be the ones that appeal to large audiences. And they certainly aren't games people will buy a Wii U to play. Nintendo has a tough road ahead. What they showed at E3 this year is pretty cool, and I think it has a lot of potential. But so did the Wii, and only a handful of companies ever figured out how to take advantage of it. 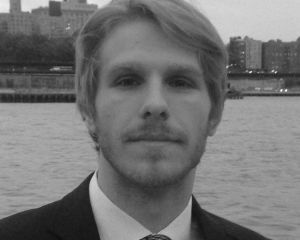 I, as a member of the Nintendo-relatively-faithful, want nothing more than to see the Wii U succeed and allow Nintendo to continue as both a hardware and software manufacturer. And I think it probably will, at least to some degree. Even though the gaming industry in 2012 is much different than it was in 2006, Nintendo's old-fashioned way of doing things with the 3DS seem to have worked out well enough for them, at least in the wake of the price drop. As far as the market was concerned, $250 was too much for a 3DS but perfect for a Wii. Would it be perfect for a Wii U?